Contents are no longer limited to articles; they come out as a pre-recorded audio. Podcast hosting platforms and online talk shows have become a phenomenal industry with today’s modern internet setup. Internet radios, podcast stations, and web TVs offer listeners a million ways to follow the episodes and listen to the contents each day. Additionally, radio blogs are typically used for advertising, journalism and full integration with traditional media practices. Often times, online radio shows are aired on a scheduled date and time where people tend to miss out some episodes. Listeners even try to catch up especially for programs with compelling stories and a huge number of followers. But not all the time you want to stay online just to listen to these online shows. Sometimes, you prefer to listen to them at the end of day’s tedious work. Introducing Cinch Audio Recorder, the all-complete recording tool that can record high-quality radio blogs aired on various internet radio sites. It supports hundreds of online news portals, live talk shows and podcast stations, providing you excellent copies of your favorite shows on any storage device. 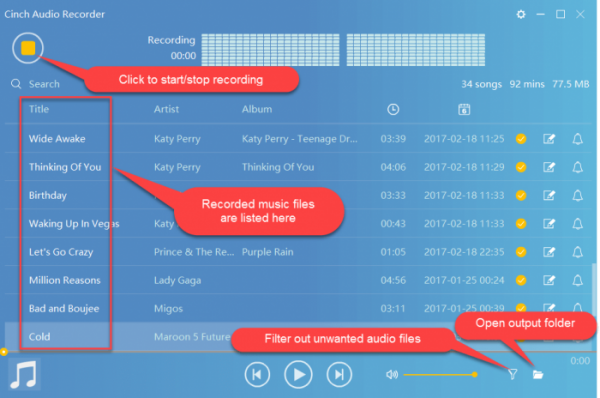 With this software, you can now store thousands of audio files and listen to them whenever you want. Let’s find out how to record a radio blog using this versatile audio recording software. Step 1: Install and launch Cinch Audio Recorder after downloading. Remember to close all desktop apps to eliminate sound interference during the recording. Step 2: Locate the “start” button on the screen. This will indicate that Cinch Audio Recorder is ready to capture your radio blog. Step 3: Open the website and click on the specific radio show that you wish to capture. The recorder will run immediately while the show is playing. Step 4: Click on the “stop” button once the recording is finished. Repeat this process on each audio track that you would like to record. Step 5: Play the recorded audio track to check the sound quality. If you are displeased with the audio sound, repeat the recording process again. Step 6: Cinch Audio Recorder will list down all recorded audio files. You can delete all disrupted or unfinished recordings. Press right click the mouse button and select “remove” button to erase the file. Remember that the audio quality will depend on your internet speed and sound quality of the source. 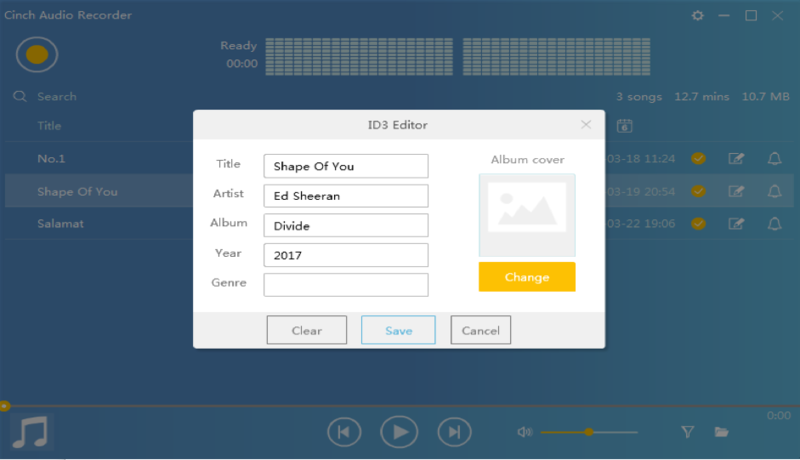 Step 7: Use “ID3 Editor” button to edit the audio details captured by the audio recorder. Fill out the edit fields with the right information. After editing, click on the “save” button. You can do the same process in every recorded file. Step 8: Review the list again and repeat steps 2 to 7 if you wish to add more files. Step 9: Organize your recorded files by moving them to another folder on your storage device. The files are now ready to play on various audio devices and mobile phone apps. Start a new day with the latest news and information from your beloved online radio program. With Cinch Audio Recorder, you’ll never miss your popular radio commentators, radio DJ and motivational speakers go on air.